My reviews for Diana Gabaldon. Set in London in 1758. 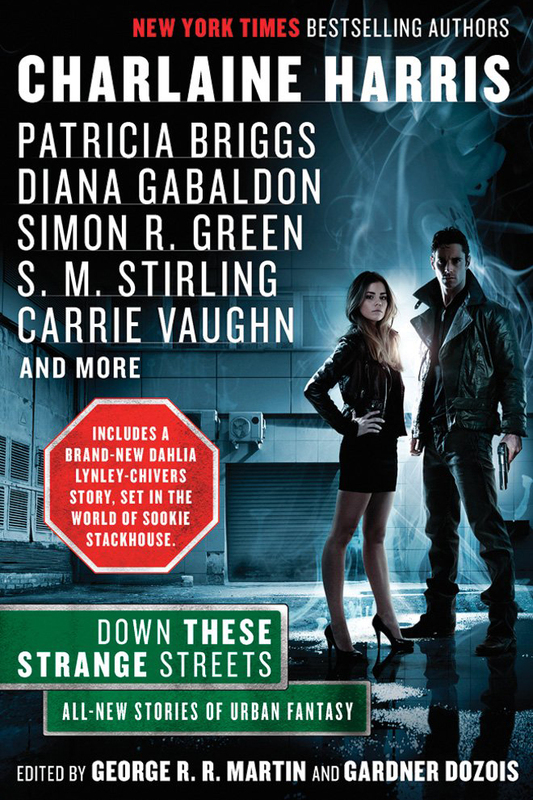 I read a Lord John short story by Diana Gabaldon in the anthology Down These Strange Streets, and if you know anything about my reading preference, you should be impressed when I tell you it was a zombie story, and I still wanted to search out more stories about Lord John. This is both an historical romance and an historical mystery, and the main character is a gay (closeted, of course, because this is an historical) officer in the British army. It is also–despite some of my concerns while reading–a thoroughly researched historical, so I got to read about gay society in historical London, and was shocked by some of the things I read, primarily because (according to her thorough research [she has an extensive bibliography]) some of the mannerism and dialogue wouldn’t stand out in modern society. Specifically, it was the term “Miss Thing” that threw me out of the story completely, yet, according to her footnotes/bibliography, was used at the time. Stuff like that fascinates and amazes and delights me. According to the preface, this started out as a short story, but grew into a full-length novel. Lord John Gray is a Major in the British Army. Additionally, as next oldest, while his brother is out of the country, he is also the head of the family, so when he discovers the man his cousin is supposed to marry in a few weeks has the pox, it is incumbent upon him to do something. On top of that, since his brother is head of his Army unit, dealing with the murder of a Sergeant also falls to Lord John while his brother is gone. And this death turns out to be more complicated than one would think at first glance. One of the things I noted the first time I read this, was how surprised I was at the language of the underground gay community of historical London–how recognizable much of the language is to modern eyes. The molly houses were fascinating, especially in comparison to the “normal” brothels of the time. Additionally, Lord John is drawn into the death of Sergeant O’Connell, who may possibly have been involved in the theft of papers–treason. He was inclined toward the simplicity of a Solomonic decree that would award half of Tim O’Connell to each woman, and rejected this notion only because of the time it would take and the fact that his rapier was completely unsuited to such division. The story started off slowly, and took me awhile to get into it, but once I was a couple chapters in, I then devoured the rest of the story, drawn into the mystery. Take, for instance, this passage, a rumination upon Purgatory. (A) place where the soul waited, while each action taken during life played itself out, the unexpected consequences and complications following one another like a collapsing chain of dominoes down through the years. But that would imply that a man was responsible not only for his conscious actions, but for all the good and evil that might spring from them forever, unintended and unforeseen; a terrible thought. (L)ove that sacrificed honor was less honest than simple lust, and degraded those who professed to glory in it. Fascinating idea for a man who society would consider without honor or decency if his truth were known. I find that expediency of that somewhat fascinating, but also kind, in its own way. Even if he doesn’t care what she says, he still allows her to speak her thoughts. But mostly, I just really like Lord John. Grey was not a religious man, but he harbored a persistent vision: an avenging angel presiding over a balance on which the deeds of a man’s life were weighed— the bad to one side, the good to the other. He’d learned in the army not to anticipate more than one unpleasant contingency at a time. 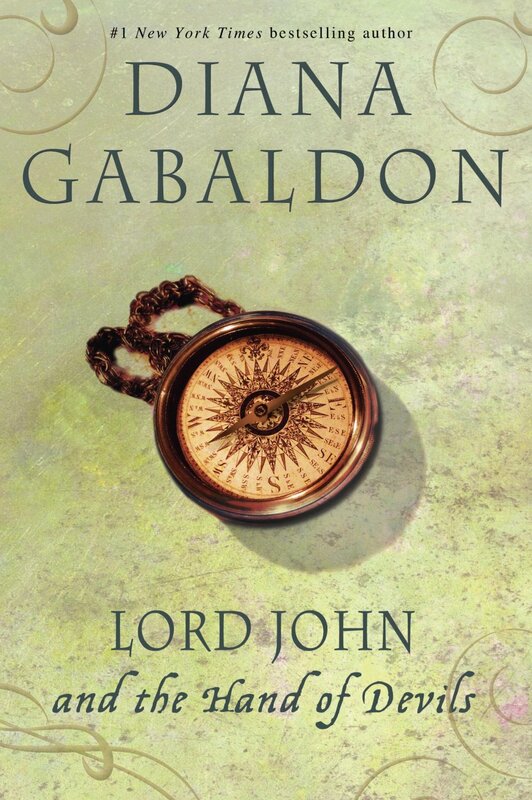 I am really enjoying this series, and REALLY like Lord John. Important to note: Lord John is homosexual. There are love scenes in this story. Also important to note: Lord John is an army officer. There are battle scenes in this story. There are two story arcs here: Lord John’s mother is getting remarried, which brings a new brother into the family: Percy Wrainwright, who Lord John had met at the infamous Lavender House. He’s General Stanley’s stepson, and General Stanley has been looking to buy him a commission. Of course Melton’s regiment is one under consideration. Commissions were normally purchased, and many officers had never seen a soldier nor held a weapon prior to taking up their office. (R)aising, equipping, and maintaining a regiment is an expensive business. Yes, not only could nobility purchase their places in the military, but there were private regiments. From a modern perspective, it’s a fascinating concept. The second story arc is delving into the death of Lord John (and Hal)’s father. It seems that his mother’s remarriage has brought the matter up once again, both with John and Hal, and also with someone who seems to have knowledge of the matter. (W)hat was galling him was not that Hal had never mentioned the wager, but the fact that his brother had never told him openly that he believed their father had not been a traitor. Of the two, I preferred the mystery of Lord John’s father. One of the things I particularly like about these stories are the glimpses into a world that is, in so many ways, foreign to me. The military is one example, but there are many other things, such as Lord John and Melton coming upon a body lying in the snow outside White’s. “Let me look; perhaps–” Hal stopped to touch the man, but was prevented by a shout from the doorway. “What, the betting book?” Hal demanded. He would not have been surprised in the slightest to hear that she had broken her neck in some hunting accident, or died in leaping a horse across some dangerous chasm. The sheer ordinariness of death in childbirth… that seemed somehow wrong, obscurely unworthy of her. Even today we tend to gloss over just how dangerous childbirth can be, but back then it was exceedingly common–almost expected–for women to die giving birth. It’s something to think about. Although I find Hal (John’s brother) sometimes rather difficult, I think in this book I truly begin to like him. Hal relaxed a bit at the revelation that Sir George would not be remaining long in England. Benedicta’s money was her own, and safe, for the most part— or as safe as law and Hal could make it. It was his mother’s physical welfare with which he was mostly concerned at the moment. That was, presumably, the point of this luncheon: to indicate firmly to Sir George that Benedicta Grey’s sons took a close interest in her affairs, and intended to continue doing so after her marriage. Hal’s office resembled nothing so much as the den of some large beast of untidy habit, and while both Hal and his elderly clerk, Mr. Beasley, could lay their hands on anything wanted within an instant, no one else could find so much as a pin in the general chaos. And I do like that John and Hal do act like brothers. Grey himself had no such restraint. He was happily off his head, drunk with the lust of fighting. His body felt like oiled rope, tensile and slippery, and he was taking dangerous chances, completely confident that he could elude Hal’s point, regardless. He saw an opening, dropped into a flattened lunge with a yell, and his buttoned point struck Hal’s thigh and skidded across the fabric of his breeches. But, there are also lots of bits that highly amused me. Sir Richard Joffery was indeed a good diplomat–but no little degree of his success was the result of his wife’s social connections and her ability to ferret out things that it was expedient to know. I’ll note one thing that struck me particularly, in that this idea actually came up in conversation yesterday. Yeah. I belong to that camp. We learn a lot about Lord John in this book–much more than we did in Lord John and the Private Matter I think. We learn about his past and his father’s death, we learn much more about his mother (I really like his mother), and Hal becomes a much larger character. I also loved the historical bits. Again, she has researched subject, and it is fascinating to see the different aspects of life at that time–especially the military. The idea of buying a military commission seems so insane to a modern reader, as does the idea that you can buy/build a regiment with your own money. That’s just astounding to me. This novel falls between the novellas Lord John and the Succubus and Lord John and the Haunted Soldier. Which makes for slightly complicated reading if you want to read in order, since the two novellas are in the same book. This attitude held an obvious appeal— but as Grey noted, some of its benefit depended upon what was happening at the particular moment. Just now, Gustav appeared to be experiencing a moment with an angry badger in it. I highly recommend this series, as long as you’re okay with boinking and war. “Lord John and the Hellfire Club” is set in London in 1757. “Lord John and the Succubus” is set in Germany in 1758. “Lord John and the Haunted Soldier” is set mostly in london in 1759. This is NOT a novel, this is, instead, three novellas. Because, apparently, this is as close to a short story as Diana Gabaldon can get. I wrote Lord John and the Private Matter, under the delusion that this was in fact the second Lord John short story. I was informed by my literary agents, though, that in fact, I had inadvertently written a novel. This first story is Lord John and the Hellfire Club, which is set prior to Lord John and the Private Matter. (In fact, the mystery and death that occur are alluded to in that book. Lord John is not yet comfortable with Harry Quarry, but will be by the end of the story, as Lord John and Harry attempt to discover who assassinated Harry’s cousin (by marriage). I only wish I could be as clever in word play as they were 250 years ago. “You are in good looks, John. Exile agrees with you, it seems.” The long mouth widened, curling at the corner. The second story, Lord John and the Succubus, takes place immediately following the events of Lord John and the Private Matter. John has been made the English liaison to a regiment of Hanoverian army, and they are currently in a stand-off with the French and Austrians. Lord John’s job isn’t particularly glamorous. Ah, the joys of being a liaison officer. This story also had many passages that made me laugh. The princess’s eyes went perfectly round. She hadn’t known, Grey observed. I’m giggling now as I retype that. And then there is the passage where Lord John attempts to garner information from a small boy. The child stared back at him, uncomprehending. “Like a witch,” he said. What else would a witch look like? The first two stories follow in time after the novel, Lord John and the Private Matter. The third story follows directly after Lord John and the Brotherhood of the Blade. The third and final story was Lord John and the Haunted Soldier. This occurs after the events in Lord John and the Brotherhood of the Blade. Lord John is called before a Court of Inquiry, over the events that took place at the end of Lord John and the Brotherhood of the Blade. Hell was filled with clocks, he was sure of it. There was no torment, after all, that could not be exacerbated by a contemplate of time passing. Lord John ends up going to visit one of his older half-brothers. He doesn’t exactly have the highest opinion of his older half-brothers. (A)fter half an hour in the company of either Paul or Edgar, he could not escape a lurking suspicion that a just providence, seeing the DeVanes so well endowed with physical beauty, had determined that there was no reason to spoil the work by adding intelligence to the mix. Grey also has several rather piercing thoughts about religion, and the religious. Not for the first time, Grey wondered at a religion which rejected so many of the things that made life tolerable. Perhaps it sprang from an intent to make heaven seem that much more desirable by contrast. Though more to the point were his comments about the minister who refused further contact with his daughter who eloped with a young soldier. “Greater than their physical well-being, evidently,” Grey observed caustically. Sadly, some things haven’t changed all that much in the passing 250 years. And the resolution of this mystery only makes that even more clear. Politics is no cleaner a game now than it was then. All three stories are set between 1756 to 1758, and most involve military matters. The stories aren’t about the war per se, but the war is a major character. But, don’t let that deter you, after all, the stories are primarily about Lord John and society at the time. If you haven’t read any of the Lord John stories, I recommend the collection, though you should really read Lord John and the Brotherhood of the Blade before the third story. Set in London and Canada in 1759. This is a Lord John novella. After a duel at an electric eel party (These used to be a Thing! Fascinating!) Hal decides it’s best if Lord John puts himself out of the way for awhile, so when his presence is requested in the Americas, to testify in a Court Martial, off he goes. Lord John ends up getting involved in something potentially very stupid. But he also meets up with Malcolm Stubbs, his cousin-in-law (Olivia’s husband), and isn’t happy with what he finds. “Every solder’s seen such things, Malcolm,” he said after a short silence, almost gently. “You’re an officer. It’s your job to keep them in check.” And you know damned well it isn’t always possible, he thought. That’s one of the things I like about this series. There is no romanticizing just how things were in the Army at that time. And things were very different from the military of today–even from the military of a century ago. One of the things I loved about the story was the brief glimpse of Hal (much of the book is set in the Americas). (H)is brother often did take his daughter out, with the feeble excuse that the child needed air. His wife accused him of wanting to show the baby off— she was beautiful— but Grey thought the cause somewhat more straightforward. His ferocious, autocratic, dictatorial brother— Colonel of his own regiment, terror of both his own troops and his enemies— had fallen in love with his daughter. OK, there is this as well. “Eventful,” he repeated. “Yes, it was, rather. But I didn’t do anything to Caroline Woodford save hold her hand whilst being shocked by an electric eel, I swear it. Gleeglgleeglgleegl-pppppssssshhhhh,” he added to Dottie, who shrieked and giggled in response. Another thing, combined with the above, are the reminders that despite everything, John holds family important. Olivia is only his cousin, yet he behaves as if she were her sister–even in a time when men didn’t always hold their sisters in high regard. But I would guess some things about war probably haven’t changed that much. Smoke was drifting over the field, low white clouds. Forty paces. Effective range. “Don’t fire, don’t fire, don’t fire …” someone was chanting to himself, struggling against panic. Chest heaving, he turned round in a circle, disoriented. There was so much smoke around him that he could not for a moment tell where he was. It didn’t matter. The entire battle had lasted less than a quarter of an hour. 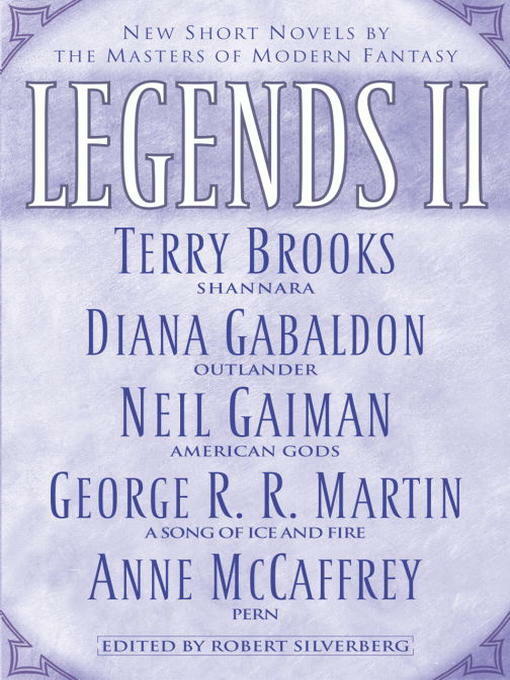 Diana Gabaldon took the title of this novella from the historical instructions on court marshals at that time. That is, there wasn’t much–she quotes the entire passage in the introduction, and it’s a rather short paragraph, considering. As with the other Lord John novels and novellas, she researched the period and military rules thoroughly, so these stories really are a fascinating peek into life at that time. I mean, who would believe something like electric eel parties and only a single paragraph guideline for army court marshals if there wasn’t the historical data to back it up? Why do I like Lord John so much? And why do I like these stories? Hal, whose usual communiqués consisted of hastily dashed-off notes, generally employing slightly fewer than the minimum number of words necessary to convey his message. But the stories are more than the fascinating historical facts–there is also Lord John himself, who I find to be a fascinating character. He’s in the Army at a time when Britain was at war, and he’s a gay man, at a time when being such was a capital offense. Yet he cares deeply for his family and (more interestingly to me) for justice. 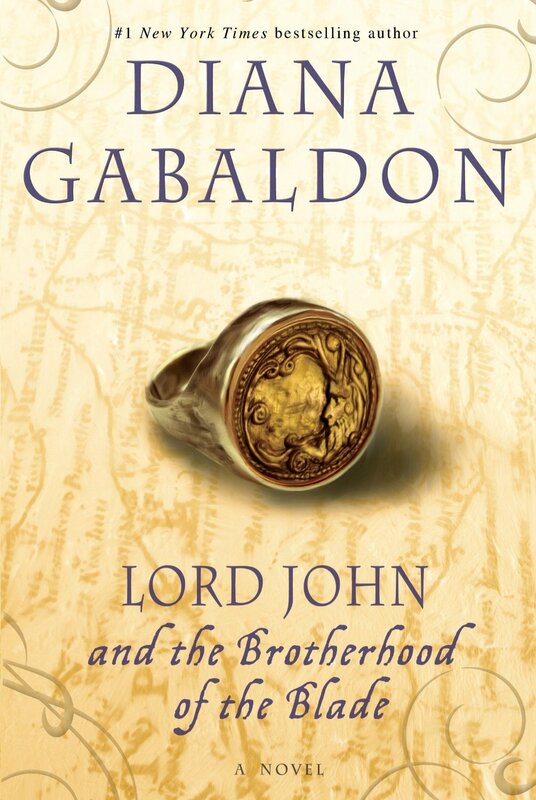 I’m very glad that I came across Lord John, and am thoroughly enjoying reading all his stories. Set in 1761 in Jamaica. This was originally published in the anthology Down These Strange Streets, and is the story that made me look for other Lord John stories. Lord John (now Lieutenant-Colonel Grey) is sent to Jamaica to look into the unrest there. The governor had requested the military after a rebellion led to the death of an Englishman. Despite his promotions, Grey remains much the same. Grey thought it unlikely that there were a plethora of men wearing the uniforms and insignia of a lieutenant-colonel on the premises of the Kind’s House at that very moment, but nonetheless bowed. As does his valet Tom. Tom was fearless in the streets of London and perfectly willing to face down ferocious dogs or foaming horses. Spiders, though, were quite another matter. With good reason, I say. As Grey looks into the matter, he discovers that the threatened uprising isn’t quite as presented, and that the death of the plantation owner might also not be as it seems. Also, there are zombies. Not Night of the Living Dead zombies, but Caribbean zombies, and to be honest, those kinds of zombies are kinda fascinating, albeit disgusting and horrifying. So I very much enjoyed my re-read of the Lord John stories. 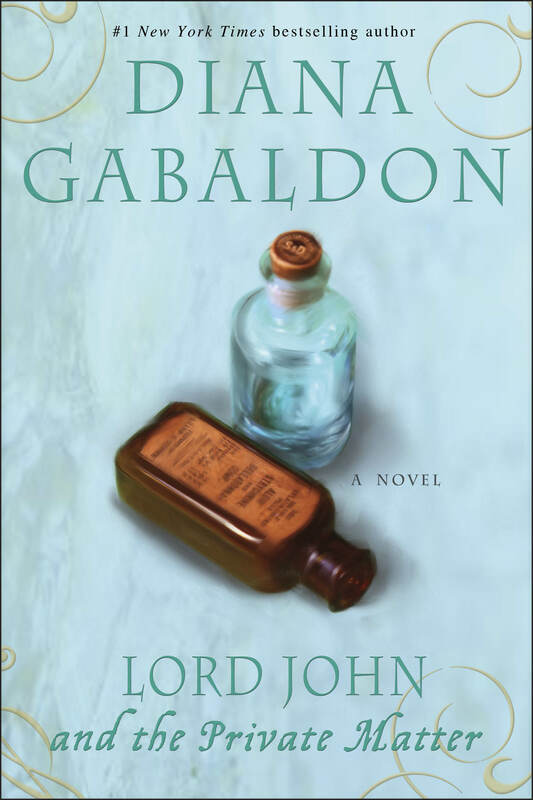 I still need to read The Scottish Prisoner, but since that’s only half a Lord John story, I’ve held off, since I’m not particularly interested in the Outlander series, just the Lord John stories. I know lots and lots of people who love Diana Gabaldon, but I somehow got it into her head that she wrote time-travel stories, which I simply dislike. This was not a time travel story, but instead a zombie story set in Jamaica at a time when British slavery was still legal. There were allusions to past events, but I didn’t feel like I was missing too much–those allusions were, instead, a prod to read more about these characters. 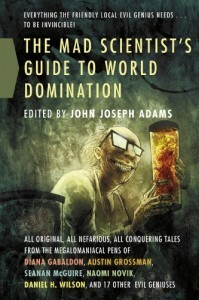 This is the third anthology I’ve read by John Joseph Adams, and I must say that he has a good track record for creating anthologies with stories I really like. He also has a good mix of stories, some of which I am guaranteed not to like, but that’s okay, because it’s good to read stuff I don’t normally read, and if I really don’t like a story, I can always skip on to the next (even though I rarely do that). The stories I liked best in this anthology were the straight-up cackling Evil Overlord sort (you know that list, right? ), because they were funny. The ones I liked least tended to be the more serious ones, because, well, evil in its true form exists in the world, and it’s generally funny at all. 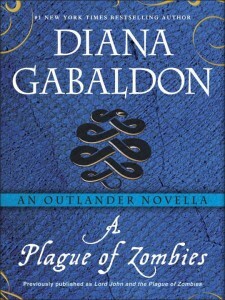 “The Space Between” by Diana Gabaldon was one of the stories that disappointed me. I’ve liked her other short stories very much, but with this one, I felt like I was missing something–backstory perhaps? I liked the characters of Joan and Michael, but the bad guy–I just didn’t understand him, what he was doing, and what he was looking for. 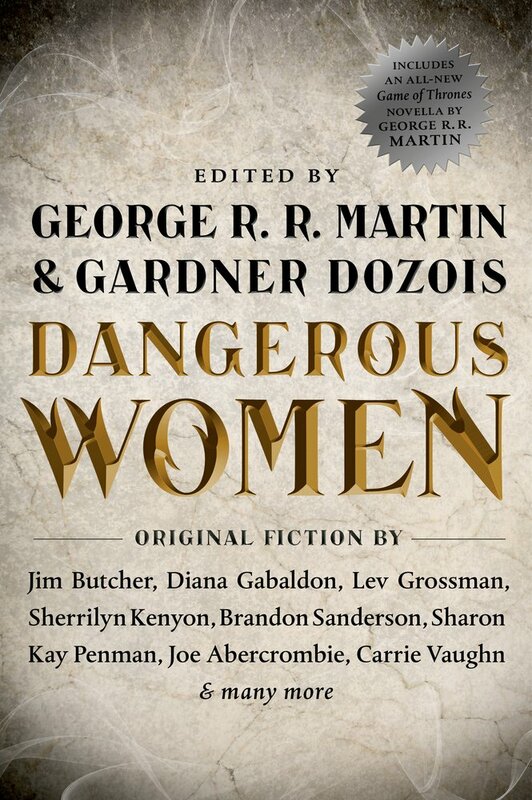 Aside from the anthology ending on several depressing notes, this was all-in-all a varied and very good collection of stories, with something for everyone. After all, the stories I disliked were not bad, they were just not my type of story. There are a lot of different stories here–on purpose. 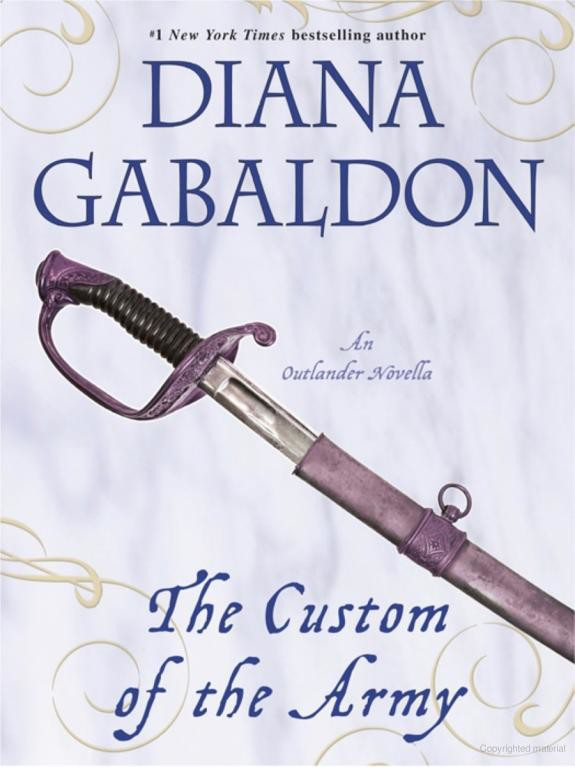 “Virgins” (Outlander story) by Diana Gabaldon I believe that the only characters in Diana Gabaldon’s universe that I like are those connected to Lord John. All in all, there were more stories I disliked than liked, which sometimes happens. As this covers all diffeerent genres, you’re likely to find at least one story you like, you’ll just have to decide if it’s worth the price.